If they could have seen their futures from childhood, Melanie Kupchinsky and Joanne Lipman might well have wondered how they might bear the worst of what fate had in store. Melanie, the daughter of two musical parents, would know tragedy from an early age. Her mother was diagnosed with Multiple Sclerosis before Melanie, the eldest of two girls, was five. Virtually housebound, Jean Kupchynsky was unable to attend her daughters’ music recitals and performances, and was often hospitalized for long periods of time. Years later, the mysterious disappearance of Melanie’s sister, Stephanie, at the age of 27, left a void in the small and already splintered family. It would be seven long years of not knowing before Stephanie’s fate was resolved, confirming a tragic end to a talented young life. Joanne would one day flee the basement of the World Trade Centre and watch the towers collapse from a few blocks away. Later, as a working mother, treatment for breast cancer would sap her strength and steal forever a period when life demanded the most of her. 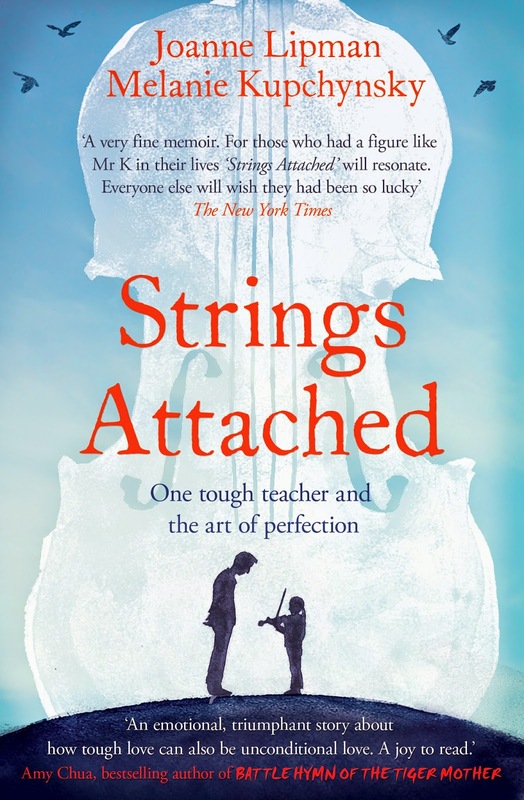 But as girls with their whole lives ahead of them, Melanie and Joanne were two parts of a gifted and hard-working student string quartet. They developed a common bond in music and performing and, without realizing it, uncommon resilience. Their source was a man with deep reserves of his own—Jerry Kupchynsky had survived the Nazis and life in refugee camps to build a new life in America. He was the talented son of a mother impossible to please, the husband of an invalid wife with an incurable disease, the father of daughters Melanie and Stephanie and the manager of a small mountain of medical bills that no conductor’s baton could wave away. “Mr. K” was also a remarkable public school music teacher. The toughest taskmaster in East Brunswick, New Jersey during the 60s and 70s (Joanne’s five-year-old self remembered him as “the meanest man I ever met”), Ukrainian-born “Mr. K.” was known for jabbing students with batons; scowling, angry outbursts (“Who eez deaf in first violins?”) and the generally not-so-benign dictatorship that was, for decades, his award-winning student orchestra. As adults, Mr. K’s students would come to realize that his ferocity was an expression of just how good he knew they could be. Put it another way, they were worth all the yelling. Even if they didn’t know it themselves at the time. More than anything else, Jerry Kupchynsky wanted his students to know “the happiness that comes from hard work”. Learning music, and playing well, was the means to that end. Though there is loss and sadness, Strings Attached: One tough teacher and the gift of great expectations resonates with reassurance—that full and happy lives are not given, they are earned.